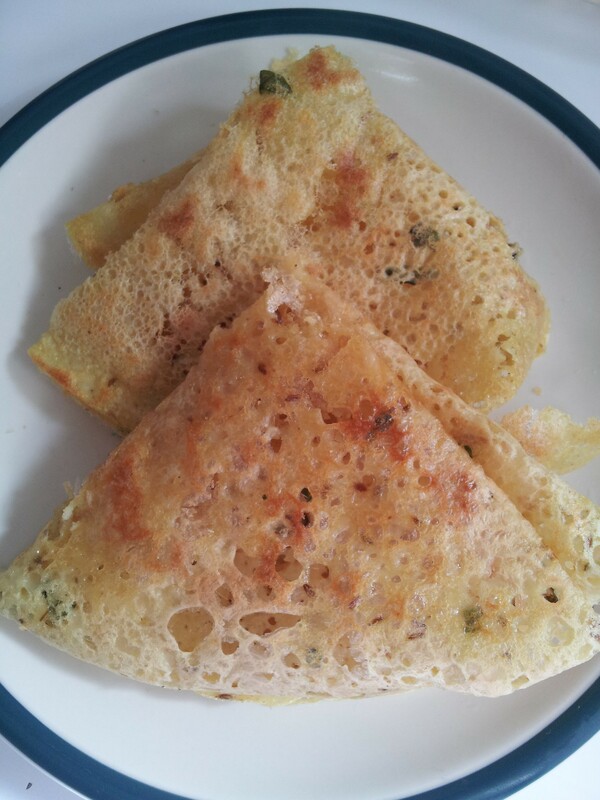 Rawa Dosa | My Cooking Diaries "CooklikeCecilia.com"
This is a very simple and quick recipe provided you have the basic ingredients i.e. 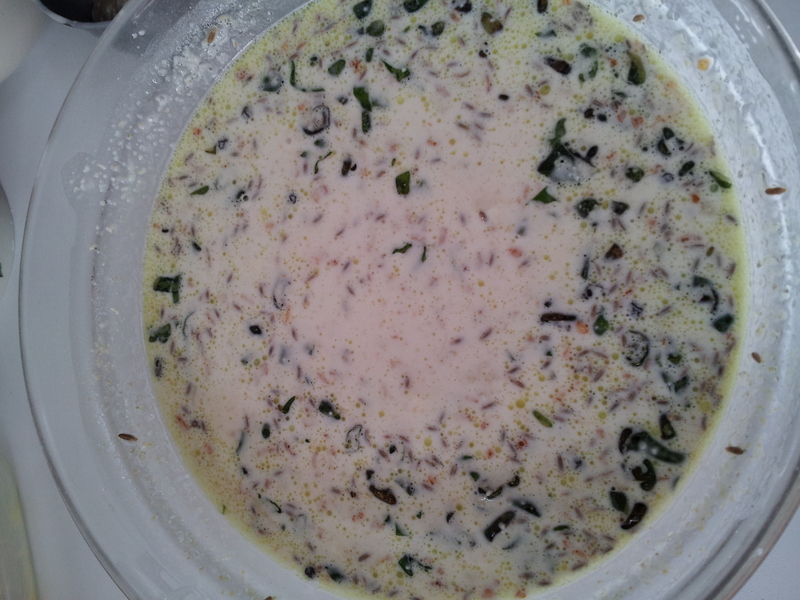 rawa and rice flour available at home. 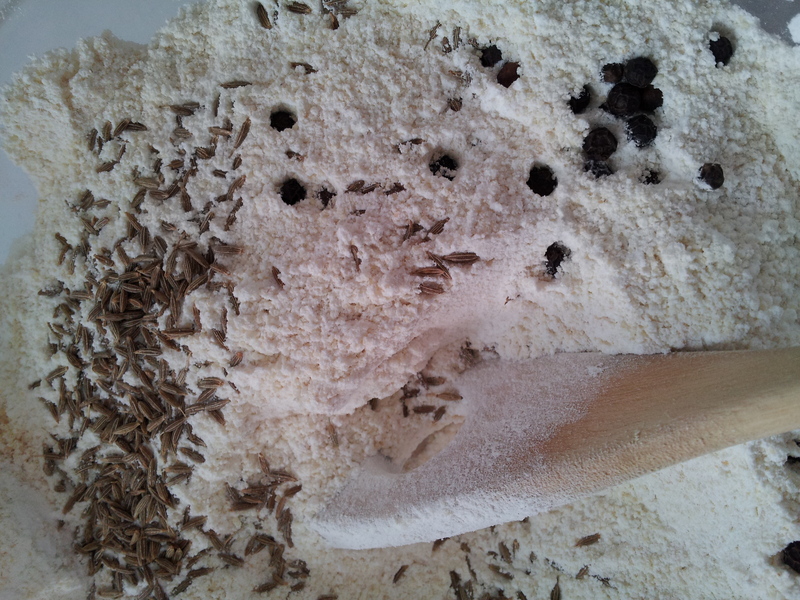 Requires no previous preparation or planning. 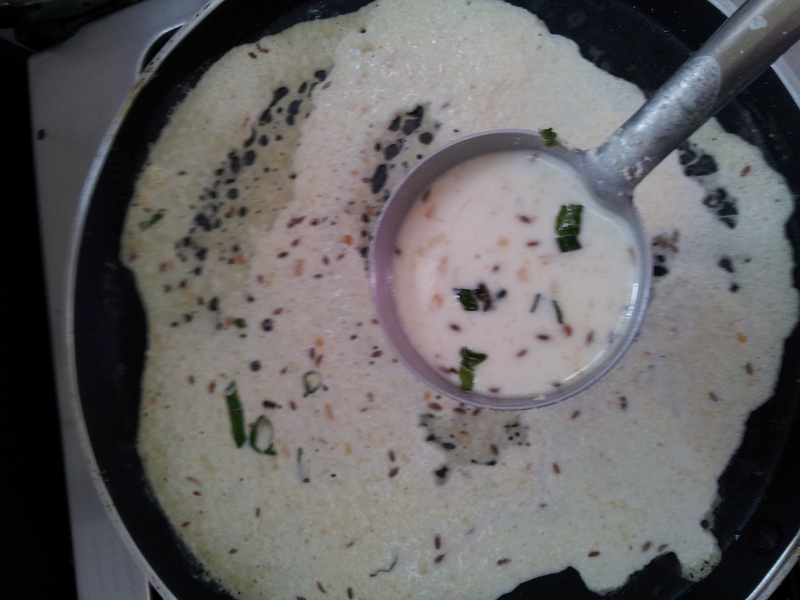 But don’t hasten the frying time as you will get the best results if fried on a medium low flame, takes at 10 to 15 minutes for each dosa. 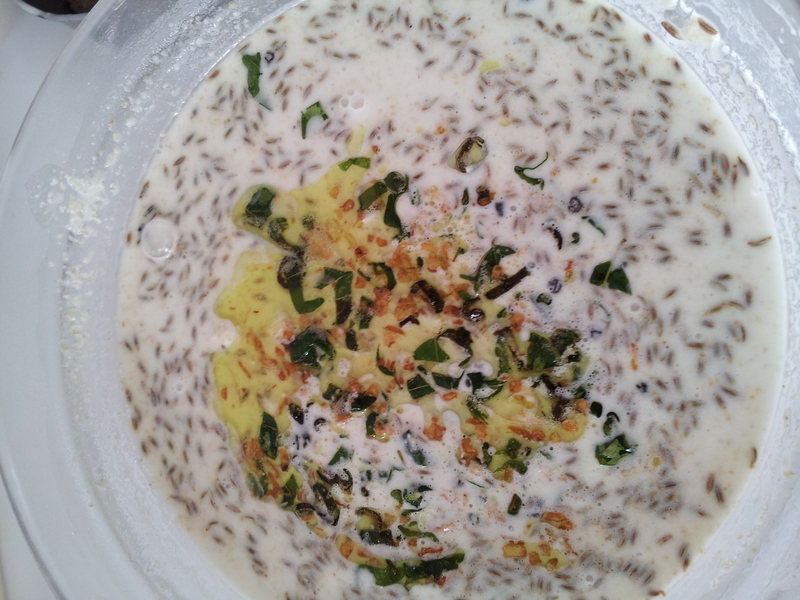 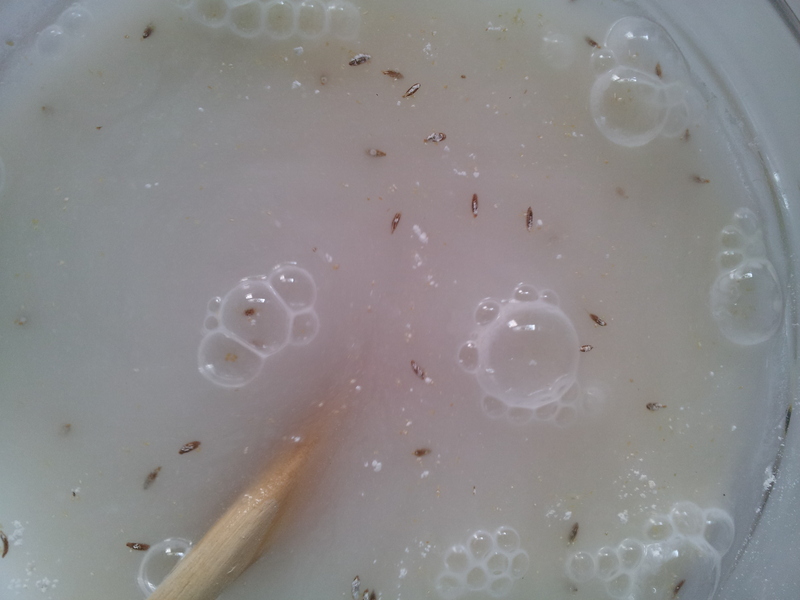 Mix the rice flour, rawa, soda bicarb, salt, peppercorns & cumin seeds. 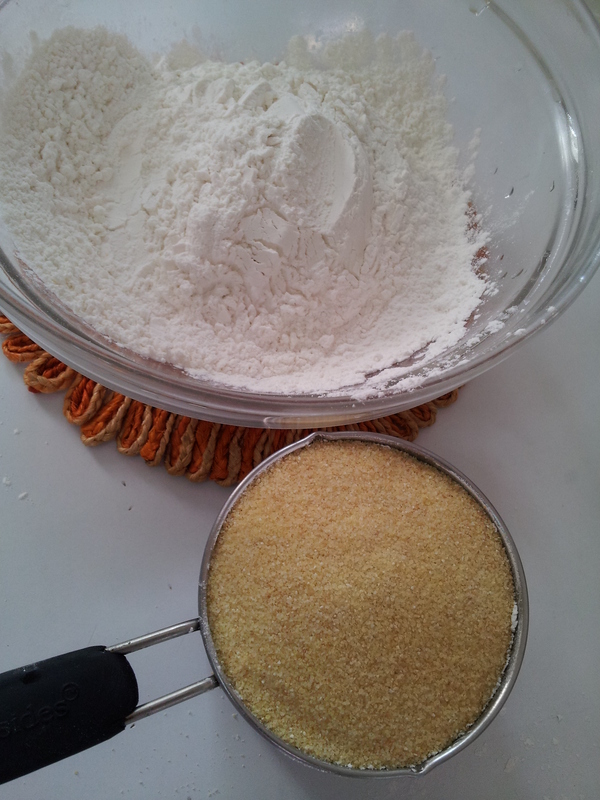 Add the water and mix to a thin watery batter (like thin butter milk consistency). 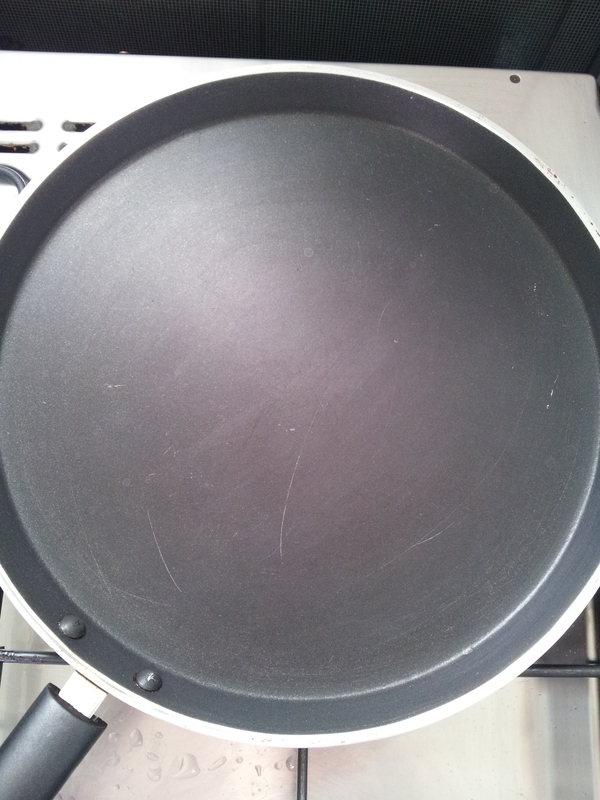 Use more water if required. 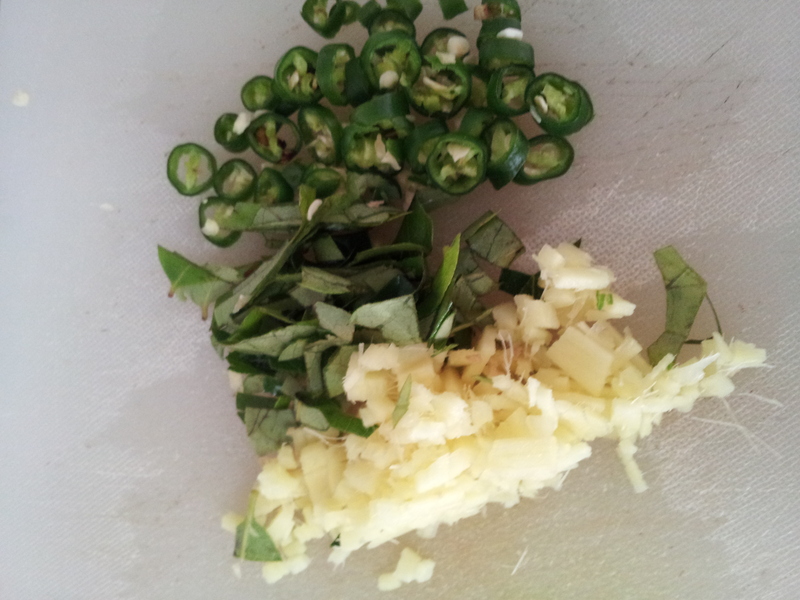 Heat a tsp. 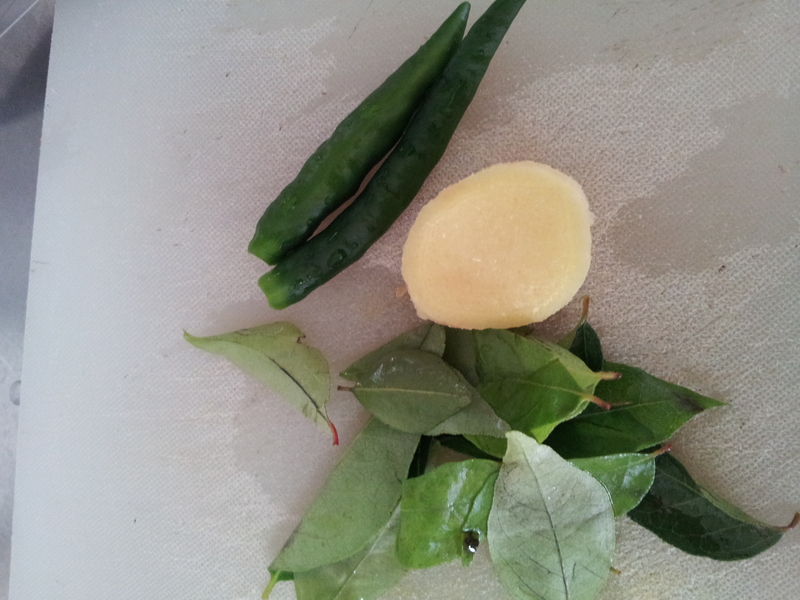 of ghee/oil in a pan and temper the chillies, ginger and curry leaves till light brown. 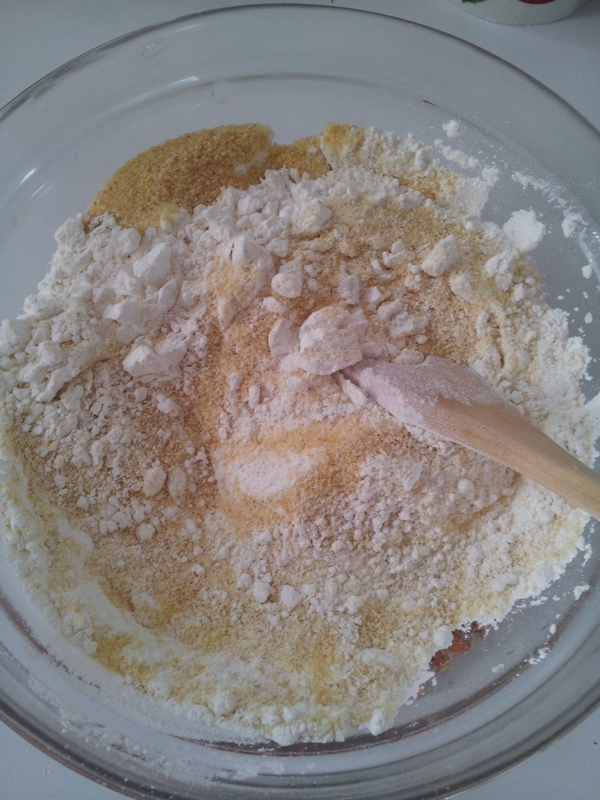 Mix the tempered ingredients to the mixture. 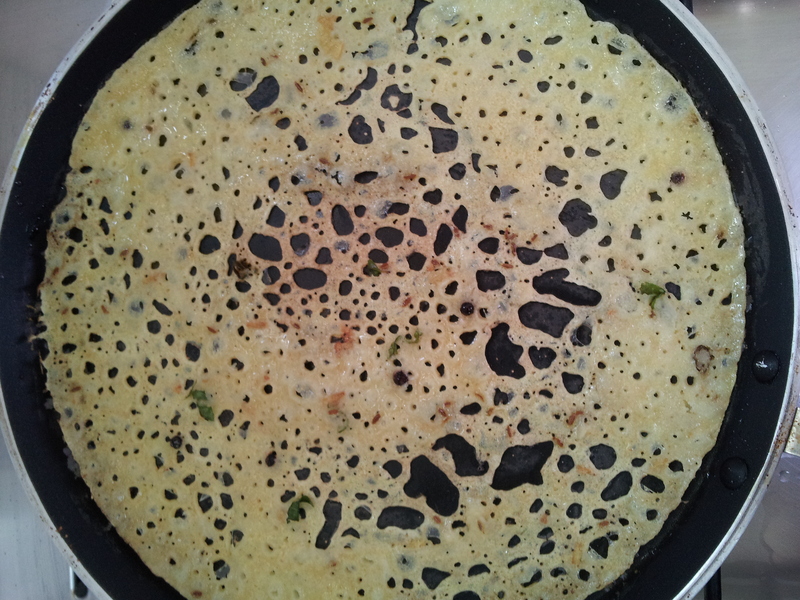 Heat a dosa pan, stir the batter well and add a ladle of batter to the hot pan and swirl the pan to spread the batter evenly on the pan. 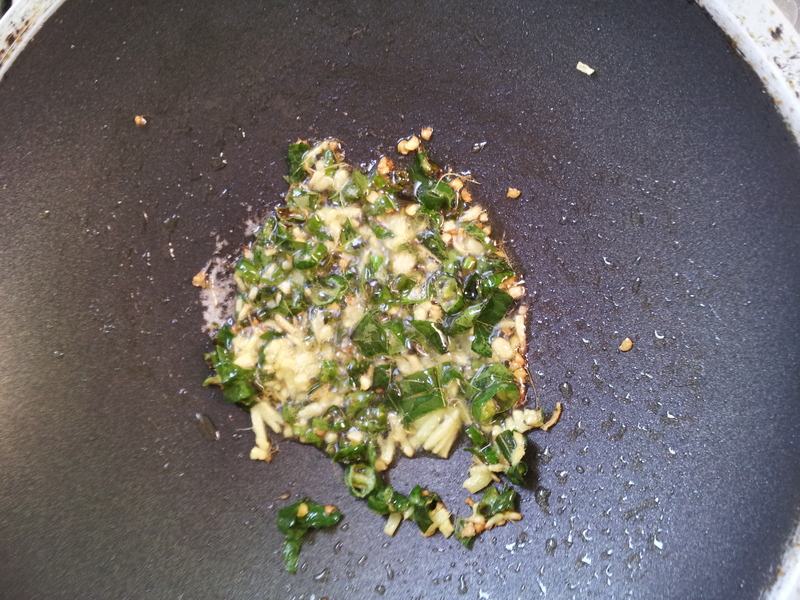 If the pan is large add two ladles of batter. 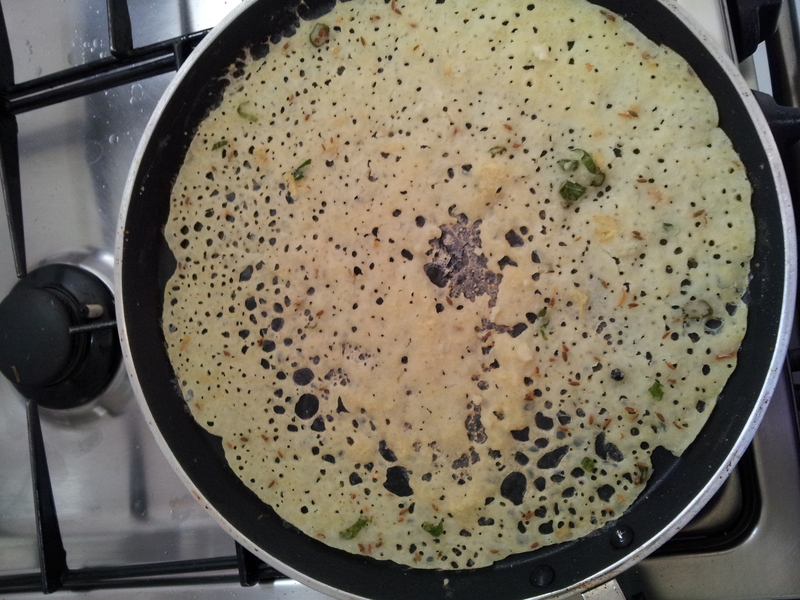 Fry on medium heat till the dosa begins to brown. 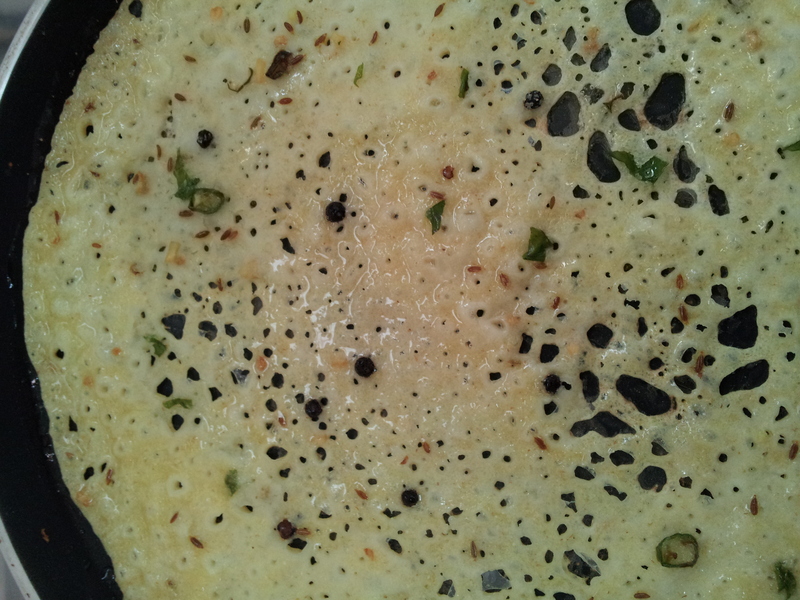 Dot the dosa with ghee in the centre and the circumfrence of the dosa and cook till brown and crisp. 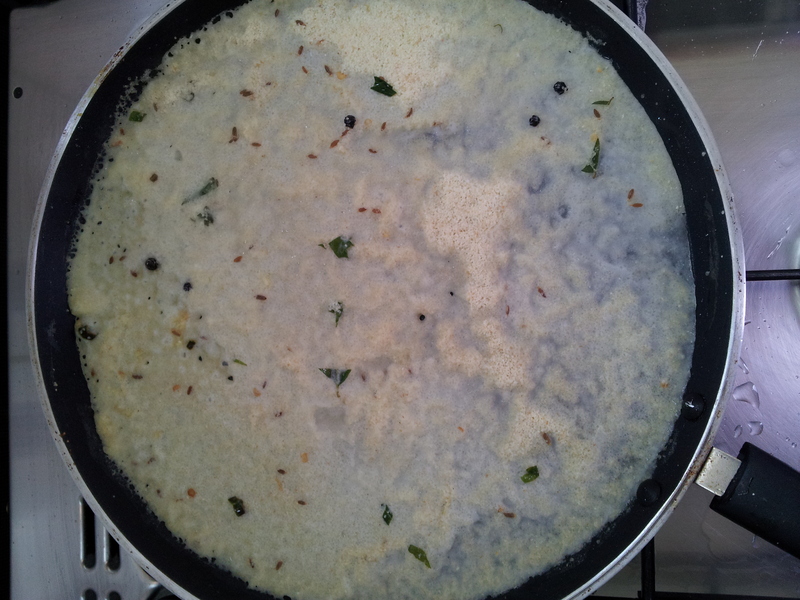 Serve hot with chutney and sambar.